Saturday, April 30 will be a day of many pivotal moments for the ICC. We will celebrate legacies – that of Founder and Artistic Director Henry Leck, as well as that of the ICC overall. We will celebrate the future by welcoming incoming Artistic Director Joshua Pedde into his new role. It’s going to be one of the most momentous events in ICC history. The 30th Anniversary Concerts will be celebrated by many people who have been a part of the ICC for most of their – and the ICC’s – lives. One such person is Leeann Starkey. As a singer, Leeann auditioned for the ICC in the summer of 1996 and joined a beginning-level choir that year. As she grew as a person and a musician, her eight years with the ICC helped give her a passion for music education and a desire to become a teacher. 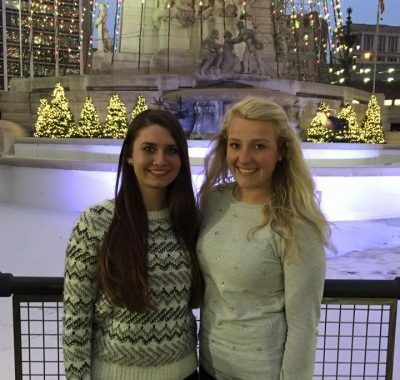 While Leeann was studying music education at Butler University, she stayed close to her ICC mentors, and spent her summers helping teach at Choral Festival. 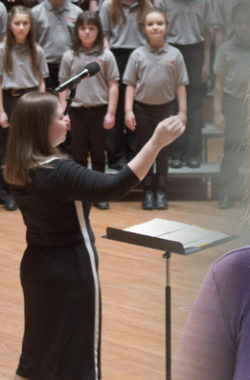 During graduate school, she began assisting with ICC choirs and teaching Preparatory classes part-time. Eventually her role with the ICC had grown so much that she was teaching outreach and early childhood classes, directing Preparatory choirs, running the music library, and overseeing the Choral Festival operations. Now that Leeann is currently pursuing her primary career paths outside the ICC, she remains a very close member of the ICC family, and is one of several people premiering newly composed pieces at the 30th Anniversary Concerts. 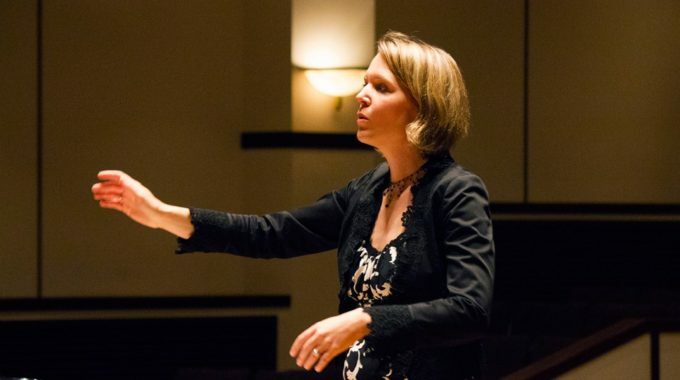 As a composer, she has already seen some of her music performed by the ICC, including her choral settings of the texts of William Shakespeare and Edgar Allen Poe. Then three simple words came to her: when I sing. “The melody and lyrics came fairly quickly after that,” she says. And we are grateful for her. The 30th Anniversary Concerts are Saturday, April 30, at 3 p.m. and 7 p.m. at Clowes Memorial Hall. Click here to purchase advance tickets.